We had ourselves a pretty low key New Years Eve this year. Some close friends, delicious food, and card games made for a solid festive evening. I decided this would be a great time to debut a coffee based mixed drink recipe I had been working on. 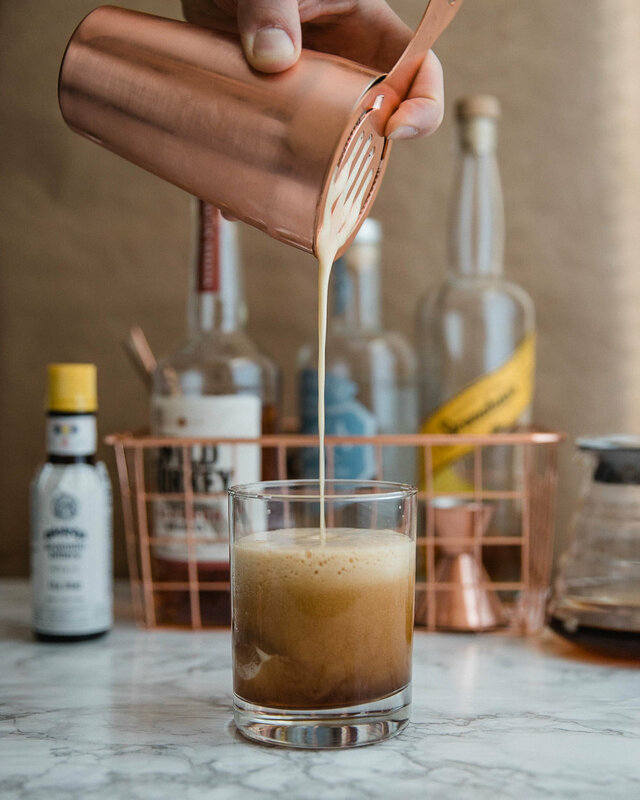 I’ve yet to come up with a good name for it, for now I just refer to it in a utilitarian sense as the Whiskey Coffee Cocktail. Brew your coffee. 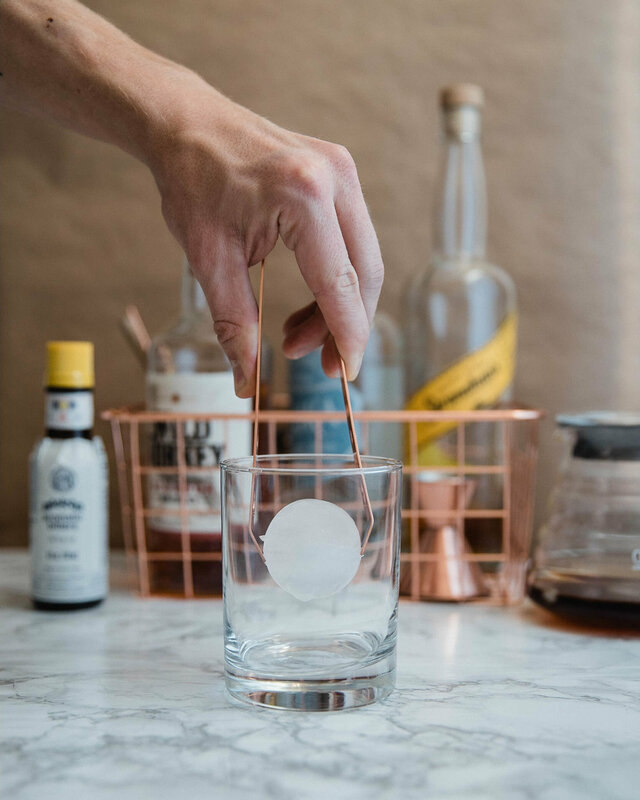 For a step by step recipe on how to flash brew iced coffee, check out this blog post. Don't shake until you mix it with the rest of the cocktail ingredients. If you plan on making more than one, I’d recommend brewing your iced coffee in a larger quantity. I brewed directly into my glass Hario range server and kept it sealed in the fridge. I know the idea of egg whites sounds repulsive to some of you, I felt the same. They actually do not affect the flavor at all, rather they create more foam and add some additional creaminess to the texture. Based on my limited testing with this recipe, the coffee used only minimally affects the final outcome. I used both a Ethiopia Guji from Abide Coffee Roasters and a Decaf Blend from Cafe Ibis with very little discernible difference in flavor. Same goes for the whiskey. I used Wild Turkey 81, which is my go to affordable whiskey. This recipe is actually a slight variation of a recipe my brother-in-law, Jacob, came up with. Like coffee, I enjoy whiskeys with unique flavor palates and experiences. So it seemed logical to me that there would be a way to bring the two together like a Venn diagram of flavor. Jacob thought the same and came up with the basics of the recipe right around the time I started playing with flash brewing. We incorporated flash brewed coffee into the recipe and voila, intersection of the Venn diagram achieved. As it turns out, I’m pretty fond of interesting palate experiences, especially when some skill and discernment is involved. I’m definitely not a mixed drink expert by any means. I’ve never been a bartender and I hardly ever drink, but I’m beginning to appreciate the artistry behind mixology. That being said, if any of you have more experience in this department and know something that could elevate this cocktail, I’d love to hear from you! Hope you enjoyed this slight variation from my normal content. If you have questions or ideas for future content, I’d love to hear from you! Drop a comment below, shoot me an email, or send me a message on Instagram!